"Far out" color scheme. Nicely executed. Handsome abstract - lovely colors, excellent details. Nice colors and detail and a nice abstract. Love the iridescence. Well done! Details, colors, comp, this is outstanding work, Leigha! Beautiful color and magnificent detail. Great work! What beautiful colors and shapes- well done! 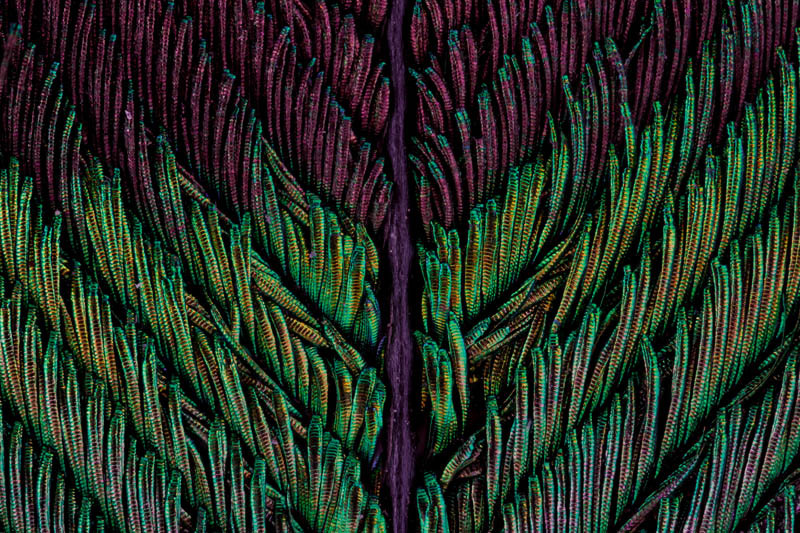 This really abstracts the feather -almost looks like some exotic fern to me as well.